In the wake of PSV Eindhoven’s Memphis Depay joining Manchester United, former Liverpool defender Mark Lawrenson has pleaded with our club’s board to hand control of transfers to Brendan Rodgers. According to the Liverpool Echo, the 57-year-old did not believe the Northern Irishman when he suggested that we were never interested in the Dutch winger, once news had broke that he was joining his former international boss. In fact, he thinks that our failure to sign him could give our club a bad reputation when it comes to trying to sign players in the future. 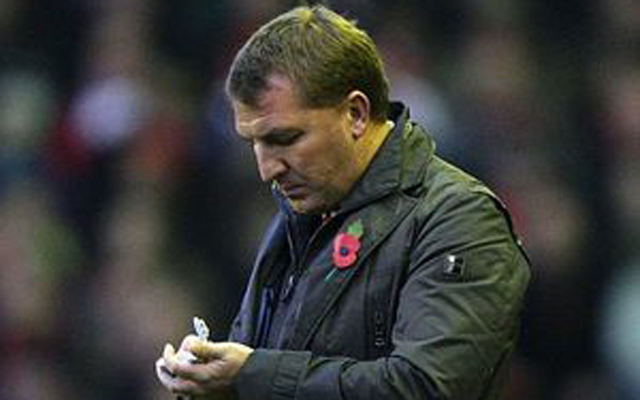 “Brendan Rodgers insisted he wasn’t ever in for the player, but I’d guess he is just putting on a brave face. Why would you speak to somebody if you aren’t in for them? “It’s yet another player we have missed out on, and that’s becoming a bit too regular for my liking. “It may well be some sort of public relations exercise to make it aware we have spoken to many players, even if they don’t end up arriving at Anfield. But all of a sudden, when the next batch of top-quality players become available, they may look at Liverpool and think ‘they don’t seem to be a club who can get deals done’,” he said. Having missed out on the highly-rated 21-year-old, there are questions about the calibre of player that we will be able to attract this summer. Those concerns have arguably arisen following the struggles of some of the players that moved to Anfield last summer. According to The Echo, Lawrenson believes that to avoid any disappointment in the window, full control of the incomings and outgoings need to be given to Rodgers. “Without hard cash and the Champions League, we’re going to find it very difficult to sign the top-level players that fit into the profile demanded by Fenway Sports Group. “And that’s why the club’s owners are going to have to relax their policy and allow Rodgers the freedom to buy whoever he sees fit,” he added. With our young squad, that is set to lose the likes of Steven Gerrard, and possibly other experienced members of the group, the pundit thinks that the manager needs to target players who can add some of the qualities we could be losing. “You can buy all the youngsters you like, but you need experience, and with Steven Gerrard, Glen Johnson and Kolo Toure all on their way in the summer, we are seriously short of wise, older heads,” he said.